Navis Pack & Ship started as a single location in 1980 and began franchising in 1984. Customers have been trusting Navis ever since to pack and ship their equipment, art, furniture, machinery and anything else that is classified as fragile, large, awkward, or valuable across the country or around the world. 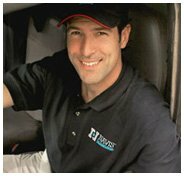 We currently have over 55 locations in the U.S. and Canada providing logistical solutions for both business and residential customers. Whether your shipment weighs one pound or thousands of pounds, you can trust Navis Pack & Ship to get anything to anywhere with care, goNavis! Navis, an international packing and shipping company, is committed to being the premier specialized packing and shipping company in North America. Our expertise in packing, knowledge and partnerships in the transportation industry, and our exceptional customer service allows us to be the leading solution for getting anything fragile, large, awkward, or valuable to and from consumers and businesses worldwide.